President Obama's recent announcement that he will open up portions of the Atlantic coast to offshore drilling, coupled with previous announcements about funding construction of new nuclear power plants, is his first step in laying the groundwork for a broad, comprehensive energy bill that will put this country on track to reduce carbon emissions that are contributing to global warming. It is Obama's hope, I imagine, that these moves will help peel away a few Republican votes so that climate change legislation can overcome the inevitable Republican filibuster. The sad thing is that it may not work. Republicans have perfected the art of the non-compromise as demonstrated during the year-long debate over health care reform. 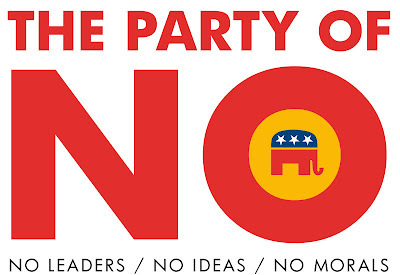 Even though Democrats incorporated many Republican ideas into the final package - so much so that it closely resembles the Republican alternative to Hillarycare proposed back in 1994 - not a single Republican in the House or Senate cast a vote for the bill in the end. And that is the way it has gone for most of Obama's presidency. The Democrats are willing to barter and trade and do whatever it takes to get legislation passed that will be beneficial to the country. Republicans, on the other hand, have taken a rigidly partisan, ideological approach where they refuse to accept anything short of "my way or the highway." 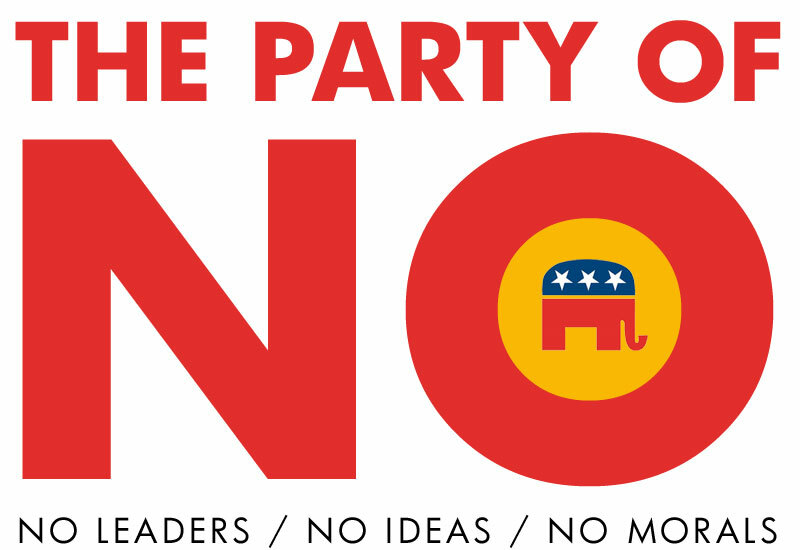 It is all-or-nothing for the GOP these days. If you give them 99 percent of what they want, they will fillibuster the bill because they didn't get that last 1 percent. Their idea of bipartisanship is for the President and the Democrats to give them everything they want and get nothing of what they want in return. So instead, Democrats have been forced to go it alone and pass legislation in the face of unprecendented minority opposition. We essentially have two political parties today - the Grown-up party that is tasked with the responsibility of governing the country; and the Whiny Spoiled Child Party that pouts, throws temper tantrums and refuses to compromise on any issue. Republicans today do not concern themselves with governing. The worse the government functions, the better as far as they are concerned because they are the anti-government party whose base is the radical Tea Partiers who claim to love their country in theory but hate every aspect of it in reality. They love the symbolism but hate the substance.